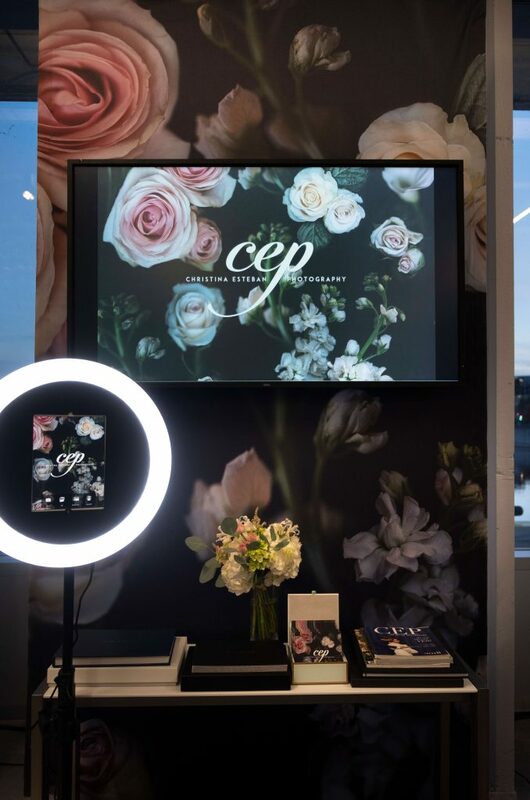 Introducing our latest addition to cepstudio, our selfie booth. We haven’t named it yet, but just ask for our selfiebooth or photobooth and we will help you out. As you well know, everyone loves a good selfie. 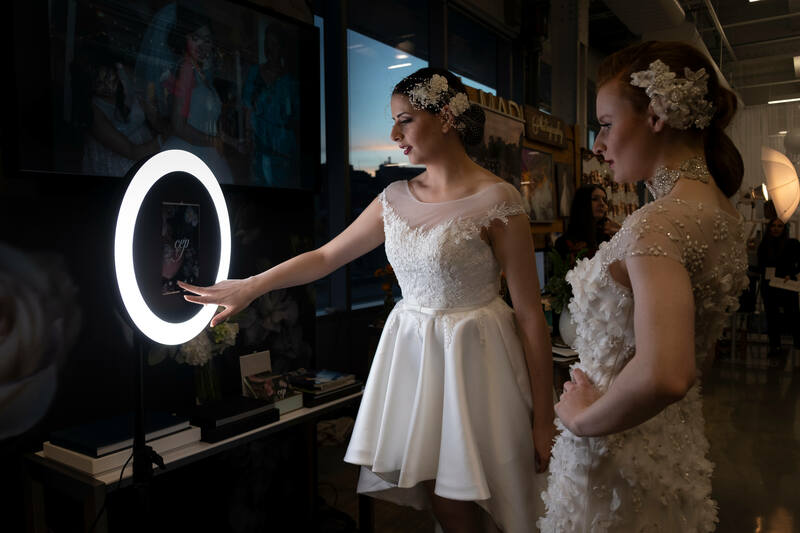 Instead of going out and buying a bunch of props that you will throw out at the end of the night, why not include digital props that are customized to your event. We include automatic beauty filters and all kinds of other fun filters. GIFs are included too, obviously! Ask and you shall receive. 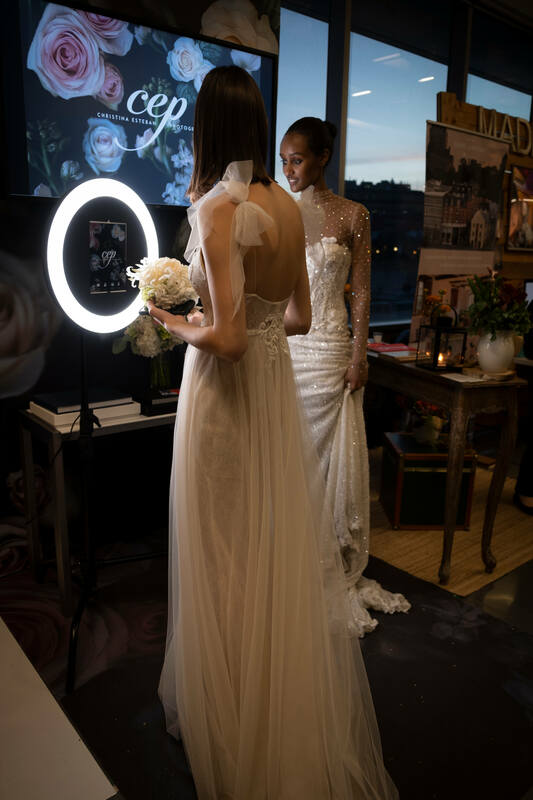 Your guests will not need an attendant, it is so simple, they can text or email their own photos immediately. Back in 2010 I launched my company Photobooth Montreal, maybe you worked with us back then, up until a couple of years ago. We were overwhelmed with the response, we used to do 3 events in one night, several times a week. Our team were often running around the city setting up and tearing down events. We were the first to market here in Montreal with the photobooth. 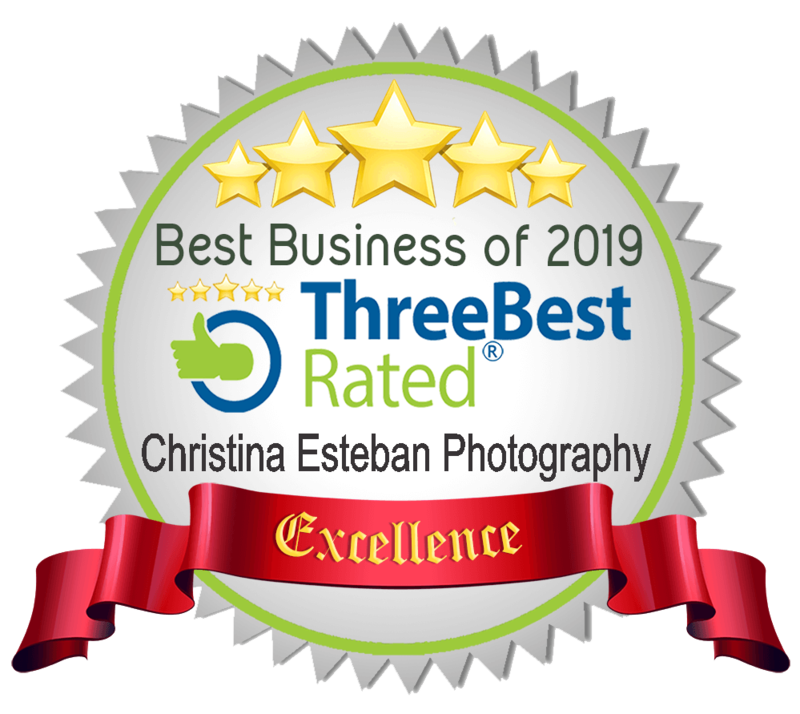 The last 2 years, I chose to focus on wedding photography, portraits and event photography as my company Christina Esteban Photography continued to grow. We found it was getting exhausting with all of those late nights and days, setting up and tearing down. We took a break from it, but we are back at it, with fresh eyes, delivering in a brand new form. We researched what you want and found exactly what you are looking for. 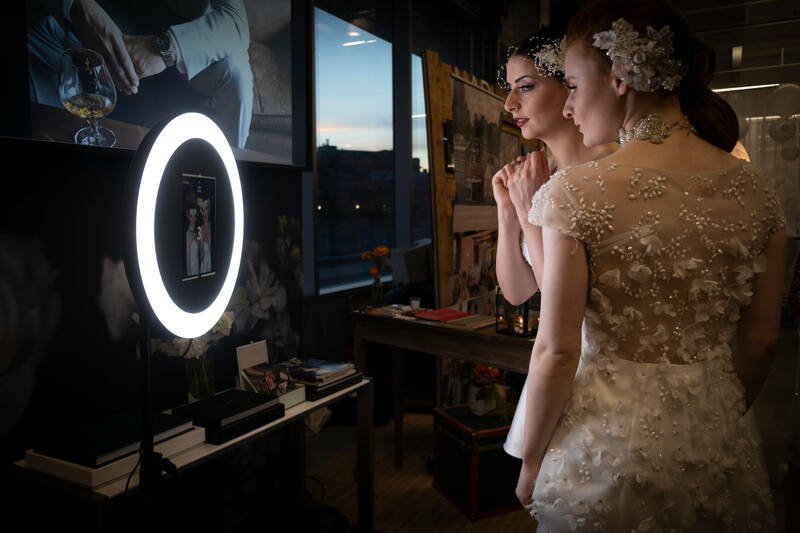 Last month, I decided to offer selfie booths as part of our package. The pricing will be $400 for 2 hours. $150 for every additional hour, this includes our wifi + beauty filters. If you want us to customize your digital props for your event theme, add on $20 per filter. Want to print, we can offer strips of 2×6 or 4×6 prints for an extra $250 with an attendant. We have a super speedy printer. It prints out in 8 seconds, ahaha! I know, not fast enough, right? !!! We are all impatient these days and want everything yesterday. This is why we want you sharing your photos immediately via text or email. Make it super simple for guests and keep branding your company or party! We will design it and your photos will look totally original to your design and unique from any other event. We very much encourage you to get creative with this. Your guests will be totally impressed. We have done 3 events so far in the past 2 weeks and we hope to hear from you for your office holiday party or Christmas party coming up, or for any event at all. Corporate events love this for the branding factor as well. Looking forward to hearing from you! 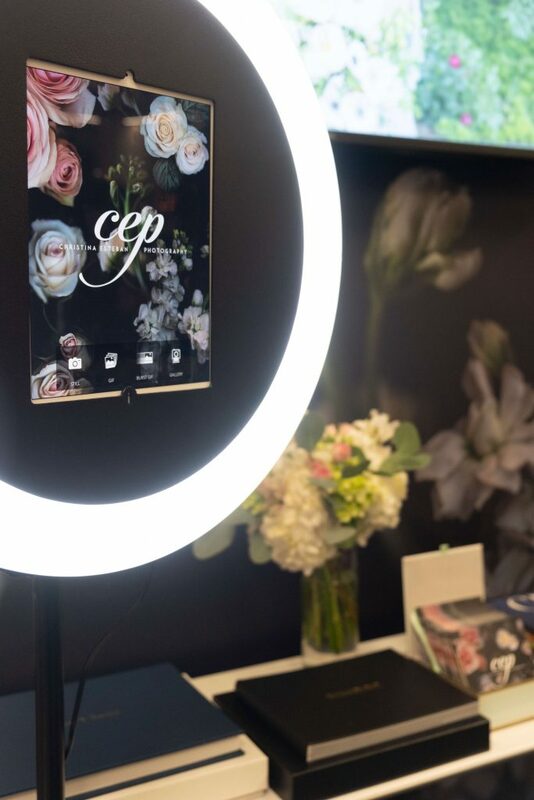 In the mean time, enjoy the photos our guests took yesterday at the Elegant wedding show.